ABSCBN PEXTalk377: Ako't IKAW LAMANG Forever, Let's Witness the BEST ENDING EVER! 377th home din. Si gener ulit ang Top Poster. Yung link din ng Thread 376 at yung bagong record ni Gener. ABS-CBN Corporation remains to be the undisputed TV network in the country as more Filipinos in both urban and rural homes watched its programs in February, hitting an average national audience share of 45%, or a 13-point lead over GMAs 32%, based on data from Kantar Media. 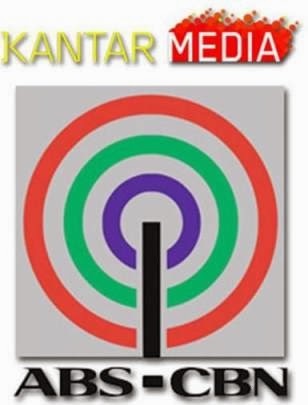 Kantar Media uses a nationwide panel size of 2,609 urban and rural homes that represent 100% of the total Philippine TV viewing population, while the other ratings data supplier AGB Nielsen reportedly has only 1,980 homes based solely in urban areas that represent only 57% of the Philippine TV viewing population. ABS-CBN also maintained its leadership in key territories across the country. In Balance Luzon (all areas in Luzon outside Mega Manila), ABS-CBNs audience share increased by two points to 47% in February from 45% in January, or a 12-point lead over GMAs 35%. The network, meanwhile, continues to dominate Visayas and Mindanao scoring an average audience share of 58% in both areas vs rivals 22% and 21%. In the previous month, ABS-CBNs Primetime Bida (6PM-12MN) also proved to be the networks strongest time block with an average audience share of 49%, or 19 points higher than GMAs 30%. The primetime block is the most important part of the day when most Filipinos watch TV and advertisers put a larger chunk of their investment in to reach more consumers effectively. Honesto remains to be the most-watched program in the country in February and continues to rule weekday programming with a national TV rating of 32.6%. It is followed by Wansapanataym (30.3%), which is the number one program on weekends. TV Patrol is still the most-watched newscast in the country with a national TV rating of 29.5% or more than double the rating of rival 24 Oras with only 14.3%. Overall, ABS-CBN swept nine out of the top ten most-watched programs in the country. Naku, di nyo kakayanin to, click nyo... now na!